I have an awesome online store to show you today which I think you'll find simply adorable! It's called Frostaholics and the owner Kara decorates all these delicious looking things! You can see everything HERE. 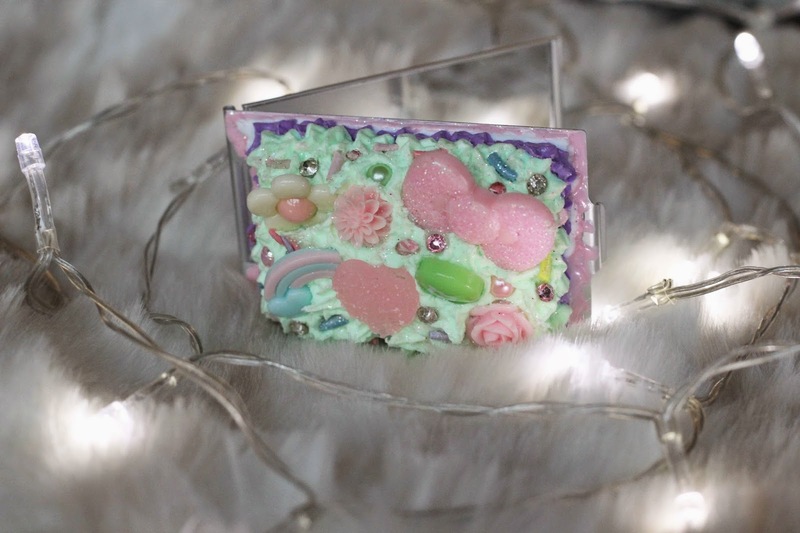 She decorates things from contact cases to soaps that you think you want to eat to phone cases and tumbler cups! Now I've personally never owned anything like this before but have admired this style from afar for a long time. I have three things I can show you and they are a phone case for my iPhone 5s, a little purse mirror, and an adorable Hello Kitty tumbler cup! I wasn't sure how I would feel having such a big phone case with little things all over the back of it but it's surprisingly comfy to hold and doesn't add any extra weight to the phone. 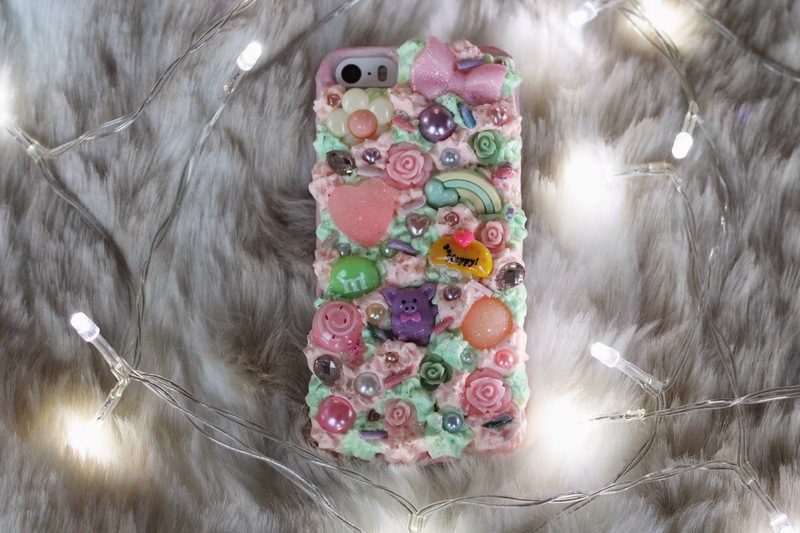 The details on this phone case are so adorable. Every phone case is unique and you can ask to have a custom one made. 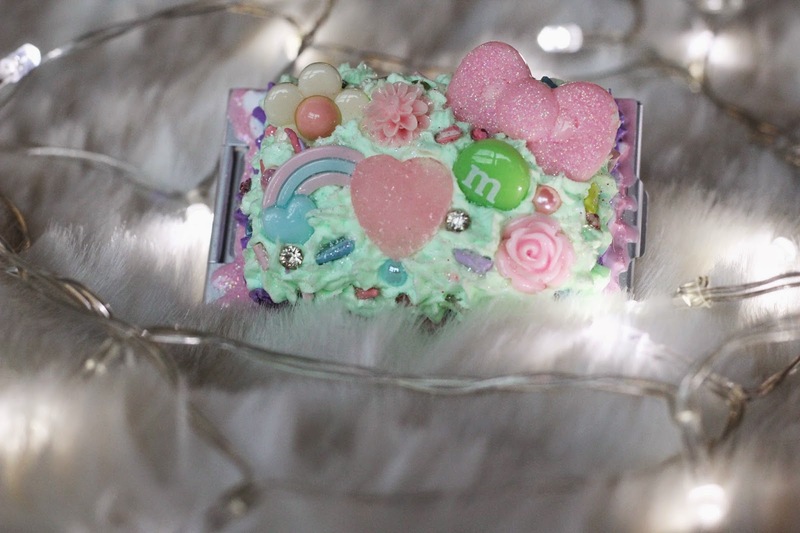 Mine has pink and green frosting with everything from little gems to colourful pearls to a bow and a green M&M! 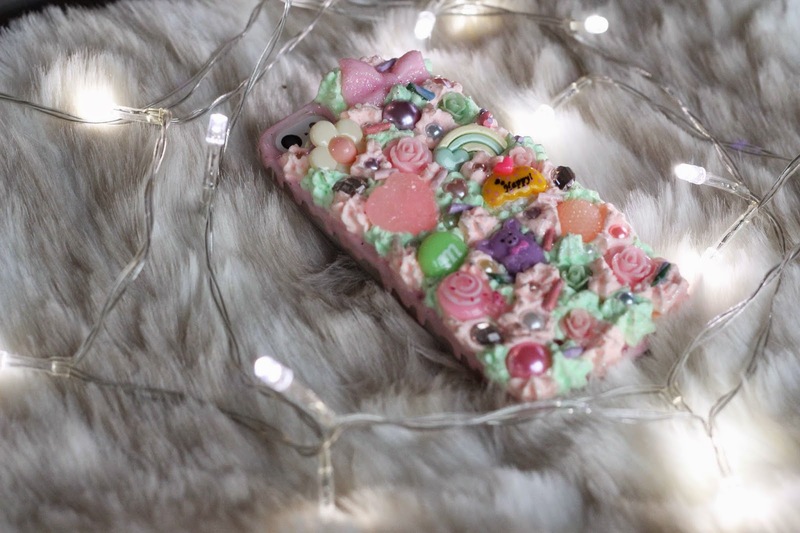 She has amazing details like the frost dripping down the side of the phone case to add that extra effect! 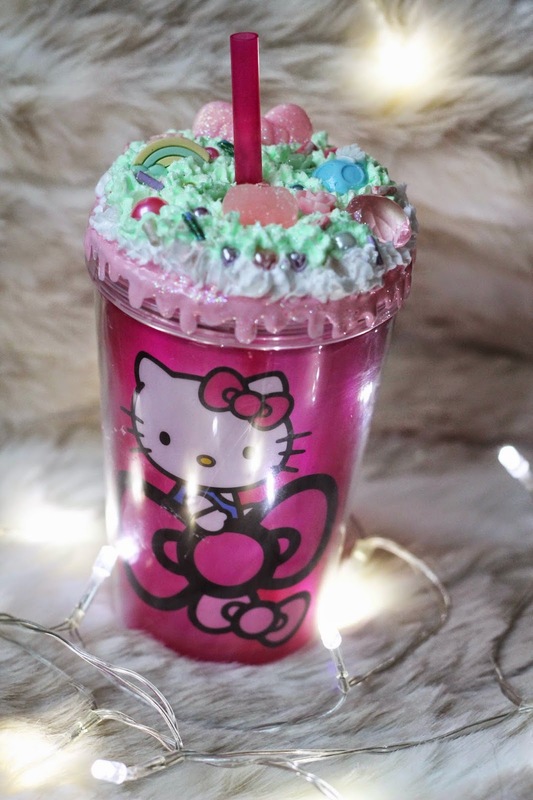 Next up is the adorable and completely purrfect in every way tumbler cup! 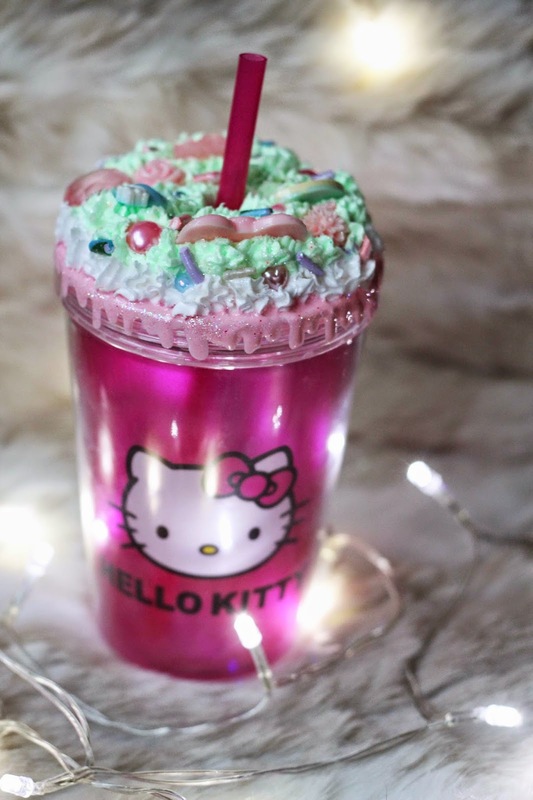 It's Hello Kitty which is my absolute favourite and it looks like it's made of cake! What more could you want?! I've included a front and back view as there are two sides to the tumbler with different Hello Kitty's on it! The top consists of green frosting ontop of a layer of white frosting. It has a cute little rainbow, a pink bow, a little blue skull with a crown on it, and tiny pearl hearts and many other things! Last but definitely not least is the absolutely cute purse mirror! 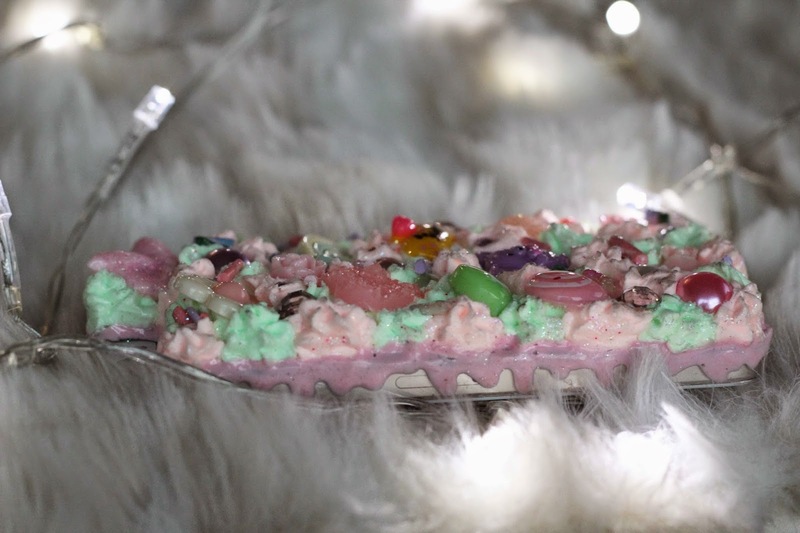 It's a very compact metal flip mirror which is layered pink, white, purple, and then covered in green frosting. 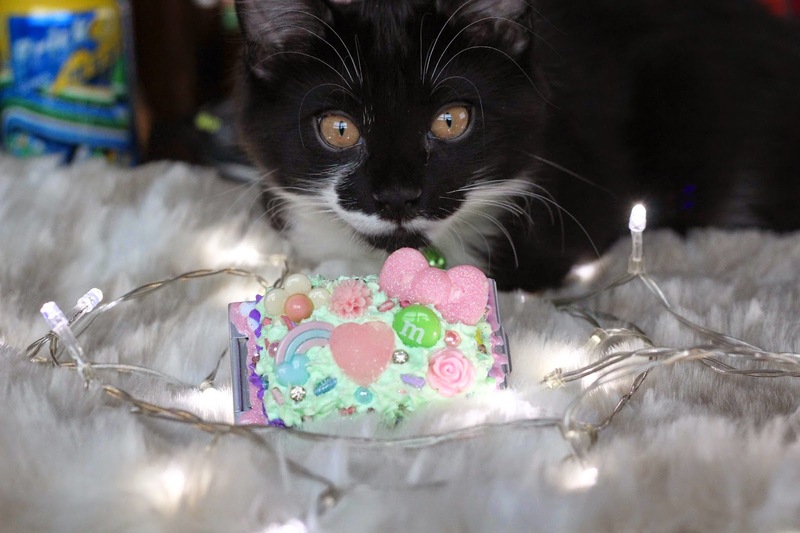 It has a huge pink bow, some flowers, a rainbow, and a giant heart as well as a bunch of other little cute things! Overall Frostaholics is purrfect! I absolutely adore that Kara made all of the colour schemes match and everything feels really nice to hold! Frostaholics is located in Los Angeles so international shipping does take the normal two weeks but it's well worth the wait. Her prices are very reasonable and the quality is impeccable!